As a family law and probate attorney, I often meet with clients who wish to contest a will of a loved one. Many times family members want to contest a Will due to receiving a disproportionate share of the Estate or being disinherited. However, just because a person doesn’t agree with the Will does not give them a right to contest it. At the Law Office of Ronda S Haynes, we will assist you in determining whether you have proper grounds for contesting a Will. We will ensure your rights as a beneficiary or heir of the Estate are protected. If you believe any of these situations apply to your case, contact our family law office in Azle, TX at (817) 752-2177. Understand what they are signing and the effect it has. The important factor in determining testamentary capacity is that it applies at the time the document is signed. This means that, although a family member may be suffering from dementia or other mental issues, if there are moments of lucidity and they can identify and understand at the time of signing, then they will still have testamentary capacity. 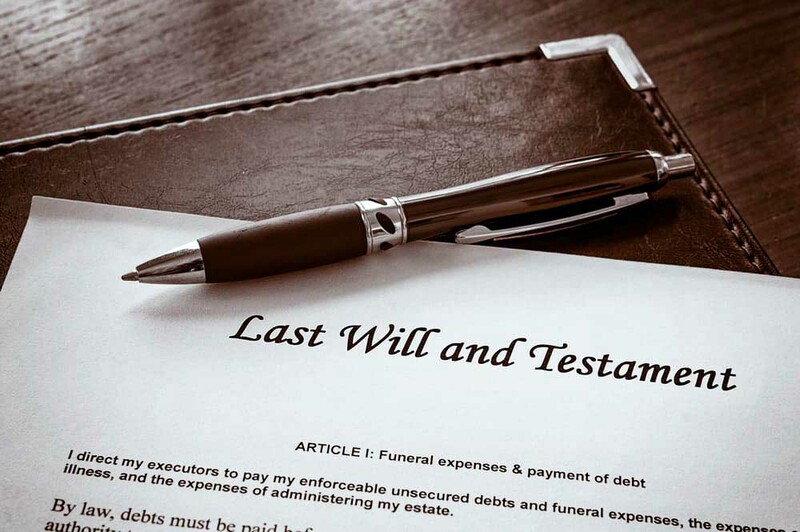 The Texas Estates Code sets out rules for the proper execution of a Last Will and Testament. In order for a Will to be valid, it must be in writing, signed by the Testator in person or, if not signed by the Testator, then by another person on behalf of the Testator in his presence and under his direction, and it must be witnessed by two or more individuals who are at least 14 years of age in their own handwriting and in the presence of the Testator. If an attorney prepared the Will, proving improper execution is typically difficult as most Wills are signed in the attorney’s office in an execution ceremony. However, if the Will was created by the Testator himself at home, perhaps off the internet, improper execution is much more likely. There are times that the Will may have been forged and not signed by the Testator, or the Will was fabricated or pages changed after the Testator’s death. Switching out pages in a Will is more common if the Testator does not initial the bottom of each page and the pages are not numbered. In addition, a Testator could be led to believe the Will disposes of the property in a certain manner and tricked into signing, or could be shown one document, but actually sign a different one. Although these situations are not as common, they certainly do happen. Undue influence is perhaps one of the most common reasons for contesting a Will. There are many ways to show undue influence but the most common is a Will that was executed a few days or weeks prior to the Testator’s death. In some cases, the Will was signed in the hospital on the Testator’s “death bed”. Usually this situation involves a sibling that has been a primary caregiver and feels sharing the estate equally with his or her siblings is unfair or unjust. Many times family members and caregivers place pressure on the Testator to force them to change the Will and influence their decisions. Sometimes a loved one passes away and family members find two or three Wills signed by the Testator. The presumption under Texas law is that the most recent signed Will controls the disposition of the Estate. However, that Will may be invalid for any of the reasons above and an older Will may be probated in its place. There have also been situations where two Wills were signed on the same day, but there is no way to tell which Will was executed last. No matter the reason for contesting a Will, it is imperative you contact an experienced probate attorney to discuss your rights. There are different statute of limitations that apply depending on the circumstances and not knowing these can be the difference between winning a contest or being barred. When you need an experienced Azle probate litigation attorney to properly contest a Will in Texas, the Law Office of Ronda S Haynes offers extraordinary knowledge and integrity to bring extensive evidence and arguments to bear on the case. With the aid of a North Texas probate attorney, the contesting party will be able to show their validity in probating the Will. It’s important to note that any individual that contests a Will is likely to receive a similar response from other heirs. This is why choosing the best probate attorney is important to effectively protect your legal rights to the estate. To discuss your probate options, please call the Law Office of Ronda S Haynes at (817) 752-2177 or email contact@rondahayneslaw.com.